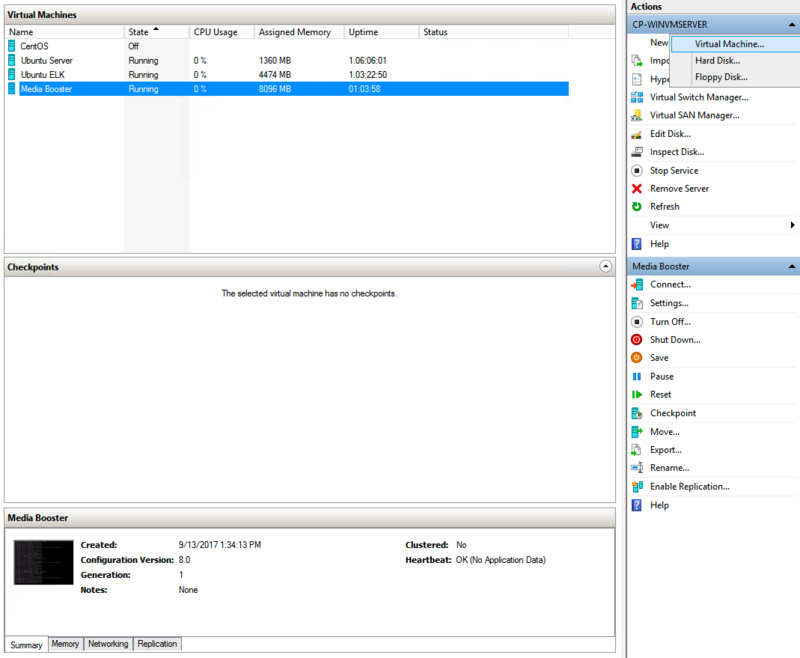 Before you begin, obtain a configuration file and two virtual hard disks from Imagine Learning technical support—one hard disk contains Media Booster software, and the other is used for the configuration file. 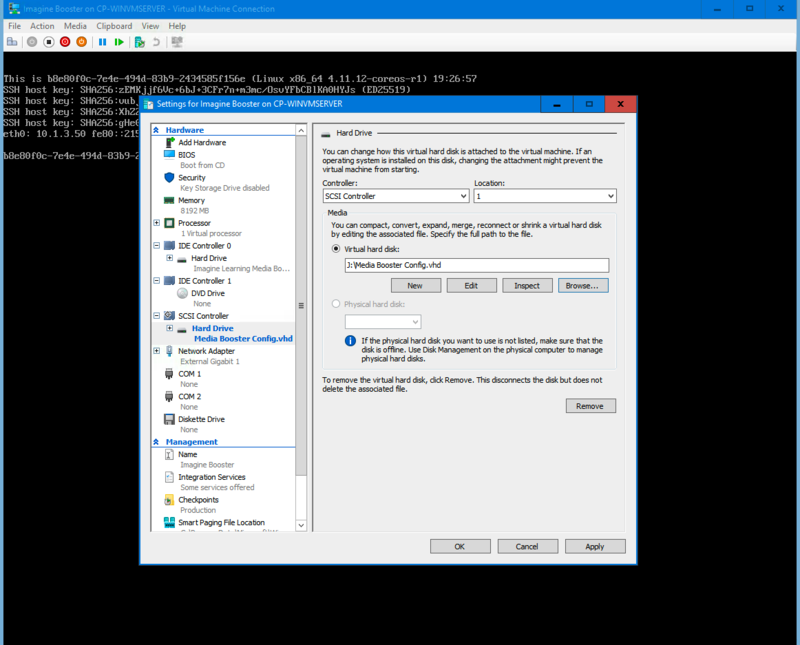 You need to install the Media Booster software on the virtual machine and then add the configuration file to the virtual hard disk. Select New > Virtual Machine. Enter the name you will use to identify the virtual machine (e.g., Imagine Learning Media Booster), then click Next. 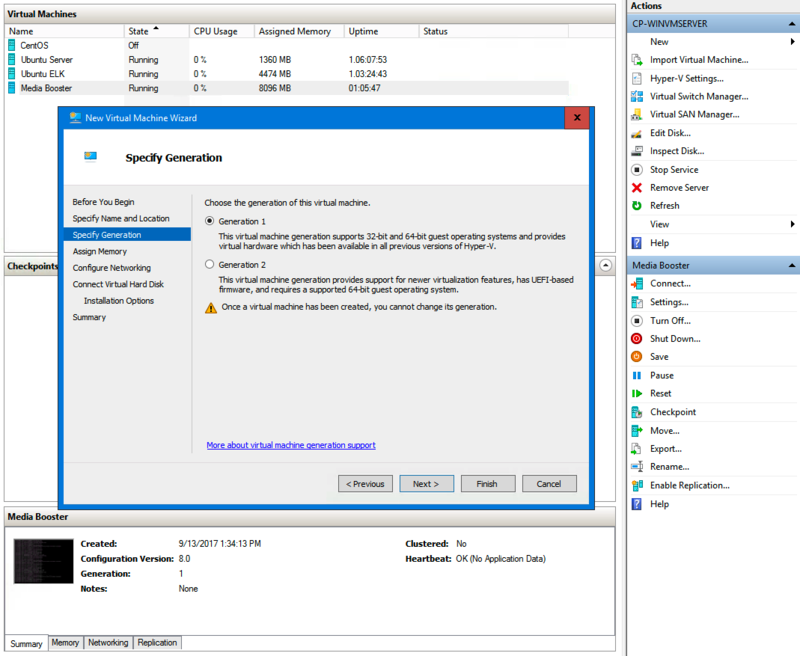 Specify Generation 1 as the generation of the virtual machine, then click Next. 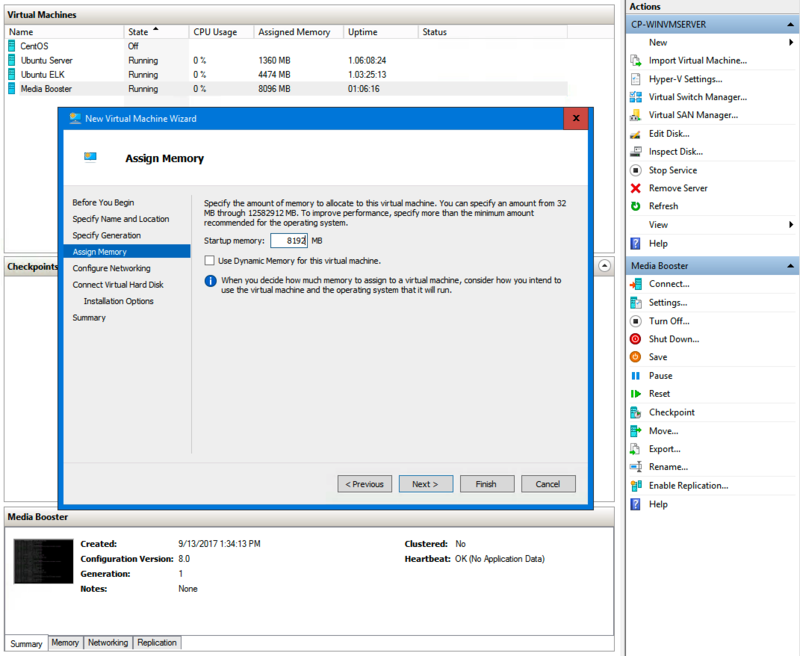 Assign 8192 MB as the amount of memory to allocate to the virtual machine, then click Next. 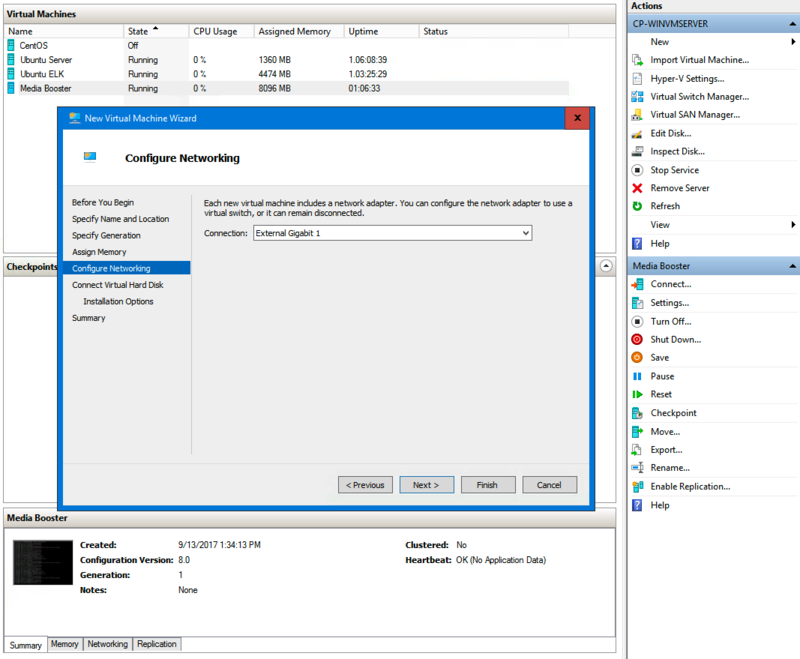 Configure networking by selecting a network connection, then click Next. 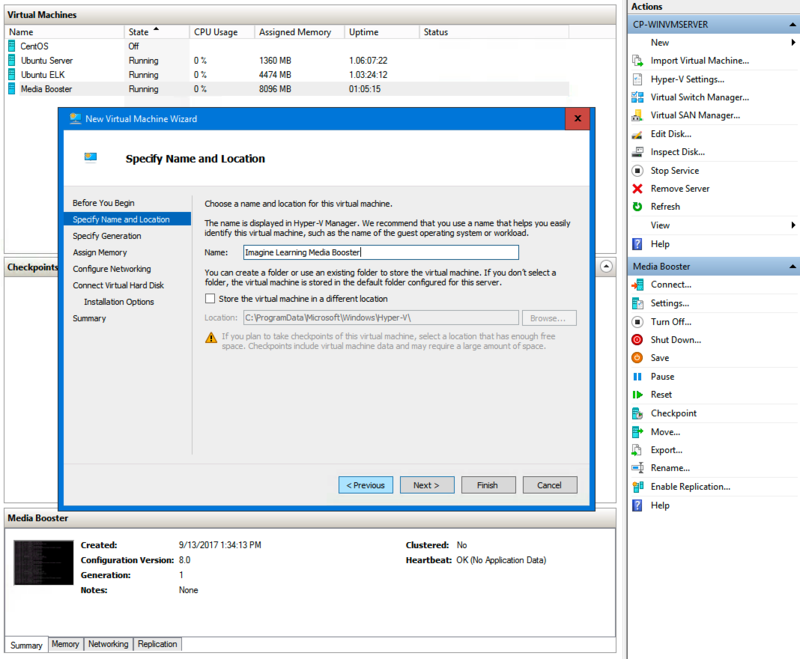 Select Use an existing virtual hard disk, and browse to the correct location to attach the Imagine Learning Media Booster.vhd virtual hard disk, then click Next. 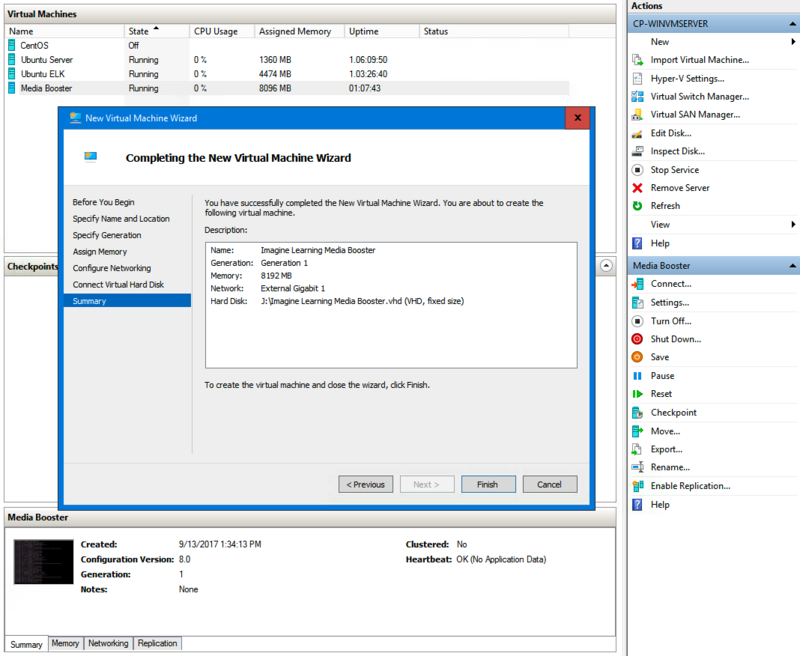 Click Finish to create the virtual machine and close the wizard. 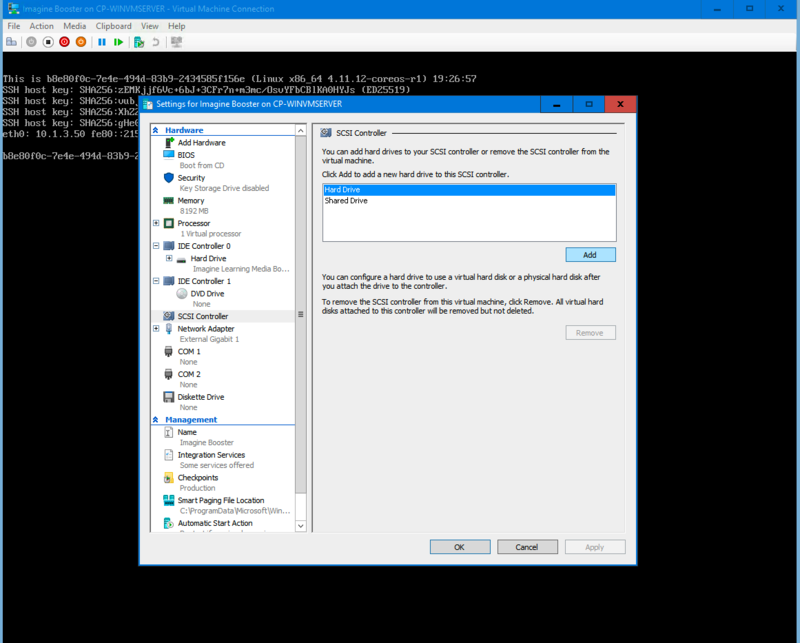 Place the configuration file given to you by Imagine Learning technical support in the Media Booster Config .vhd. Navigate to SCSI controller, then select Hard Drive, then click Add. Change the Location to 1, select Virtual hard disk, and navigate to the location of Media Booster Config.vhd, then click Apply. The machine shuts down and restarts. When this process is complete, click Remove to disconnect the virtual hard drive.